Jay has been riding since she was a child and has been a professional for over 30 years. In addition to attending shows throughout the region, Jay manages 11 shows a year at Sandy Point Stables. The Sandy Point Show Series has become a popular and well attended series in the region. 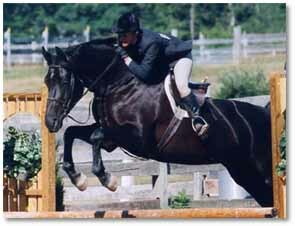 Jay is the former Head Coach of the Salve Regina University Equestrian Team and the U.R.I Equestrian Team. 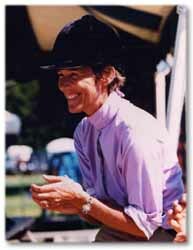 She is a large "R" USEF judge and is very active in many organizations in New England and the country. Jay is a member of the Board of Directors and past president of the Rhode Island Horseman's Association, Co-Chairperson of the Rhode Island Equitation Committee, member of the New England Equitation Committee, and a member of the USEF Zone 1 Committee. Jay's students have been very successful including wins at the Connecticut Junior Equitation Medal Finals, N.E. Equitation Finals, top ribbons at the USEF Pony Finals and more. Jay trained Tidy Up the winner of the 1977 small pony finals and trained the reserve champion large pony Llandfalle Logic at the 1985 pony finals.